With all of the investment opportunities available these days, it can sometimes be difficult to decide which one is right for you and your money. If you find yourself trying to make a decision about where your money should be invested, you might want to take a few moments to consider investing in real estate. While real estate investment isn't right for everyone, there is a rather significant potential to make money if you handle your real estate investments correctly. To help you to decide whether or not real estate investment is right for you, here is some additional information on investing in real estate for both resale purposes and rental purposes, as well as some of the advantages and disadvantages of this type of investment. made from the last sale. Another common method of investing in real estate is investing for the purposes of owning rental property. Instead of putting a house or apartment building back on the market after purchasing it, the rental investor finds individuals who are interested in renting their property and then serves as landlord. This type of investment doesn't yield as much at one time as resale investments, but has the potential to bring in a somewhat steady return for months or years to come. The advantages of real estate investment are much like the advantages of any investment... there is an opportunity to make money, sometimes large amounts of money. Resale investors can often purchase property that needs minimal repair, fix it up, and see a significant increase in their profits for not a whole lot of money. Rental investors can make even more over time, because as long as their property is occupied they're going to be making money. Years down the road, they can also choose to sell their rental property for additional profits. disadvantages. For resale investors, they may not be able to find a buyer as quickly as they'd like, or the real estate market might drop after they'd made their purchase... either scenario meaning that they aren't able to get the money out of the property that they want or in some cases not even able to get back what they put into it. Rental investors have to deal with the people who are renting the property, as well as potential periods when no one is renting it... and are responsible by law for certain amounts of maintenance and repair even though it may be the tenant's fault that the repairs are needed. They also have to deal with non-paying tenants, and those who are quick to threaten legal action even if it's not legitimate. Both types of investment also require payment of property taxes and other fees. 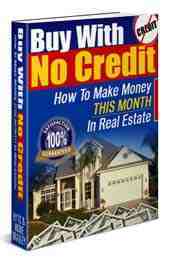 Money can be made with real estate, just make sure that you're ready for the drawbacks as well. John Mussi is the founder of Direct Online Loans who help homeowners find the best available loans via the www.directonlineloans. co.uk website.